Tata Motors recently unveiled a first of its kind flagship showroom for passenger vehicles in Mumbai. The showroom is has been designed to give prospects and buyers an enhanced experience of car buying. The showroom presents a perfect abode for a high level human interaction with machines and technology. 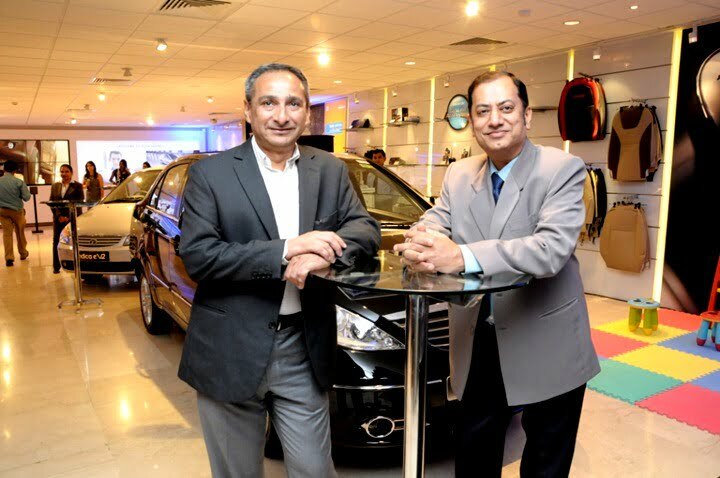 The showroom was inaugurated by Mr. Ranjit Yadav, President of Passenger Vehicle Business Unit of Tata Motors. • Walls studded with video screens on which customers can configure their vehicles through tablet PCs. • Branded accessories and lifestyle merchandising. • A customer lounge with all luxuries along with Wi-Fi connectivity. • Well trained Professionals to take care of all your needs. • A small café corner. • And a play zone for kids. The company plans to open up more showrooms across the nation in upcoming months. All these initiatives are a step towards providing customers a high class familiarity with global level retail offerings. Tata motors is presently the biggest automobile giant of India. It was able to make approximately INR 1, 65, 654 crores (almost USD 33 billion) in total in year 2011-12. There is not a single segment in Auto market where Tata motors haven’t registered its name as a leader. They lead Automobile market in every segment and have given products that have won all parameters of quality, quantity as well as prices.